Feel the power of 120-Volts! Put away your gas chainsaw and experience the power and fast cutting speed of the Redback cordless 18 inch 120V chainsaw. Packed with features including a brushless motor that senses the optimal sawing speed, meaning it won’t get bogged down in tougher areas. Built-in smart technology maximizes run time, motor life, and battery charge, using only the power needed for the task at hand. With a 2000 rpm chain speed and 18″ bar length, the Redback 120V chainsaw is perfect for any job. 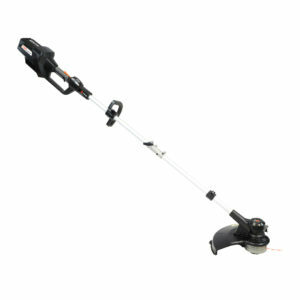 For added safety, it features an electrical and mechanical brake and an oversized trigger for gloved operation. Also features a tool-less chain tensioner to save you time and effort. Not to mention, an easy to access chain oil refill. 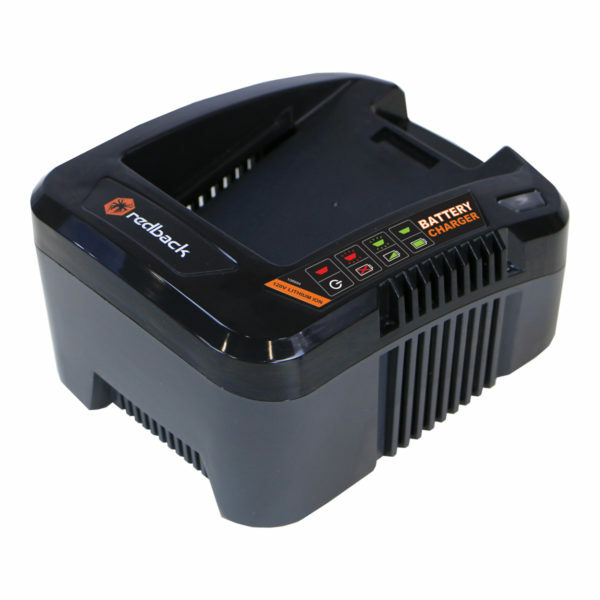 No more mixing oil and gas – just add your battery and go! The kit includes everything you need to get started: the chainsaw, 2.0Ah battery, and battery charger. Backed by a 5-year manufacturer warranty. 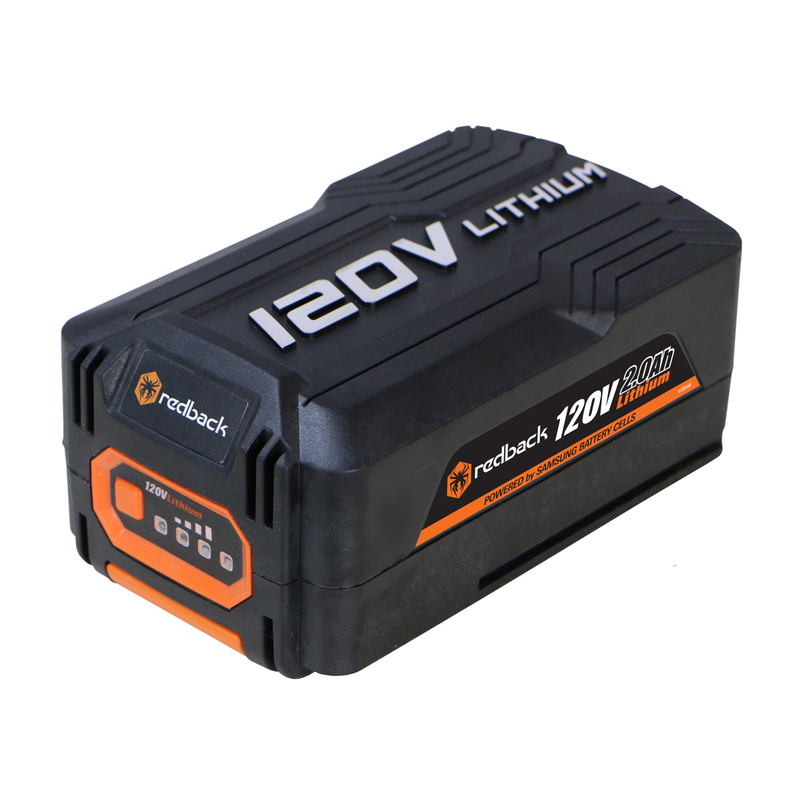 Weighs only 12.5 lbs without the battery, and 16.5 lbs with a 2.0Ah battery. 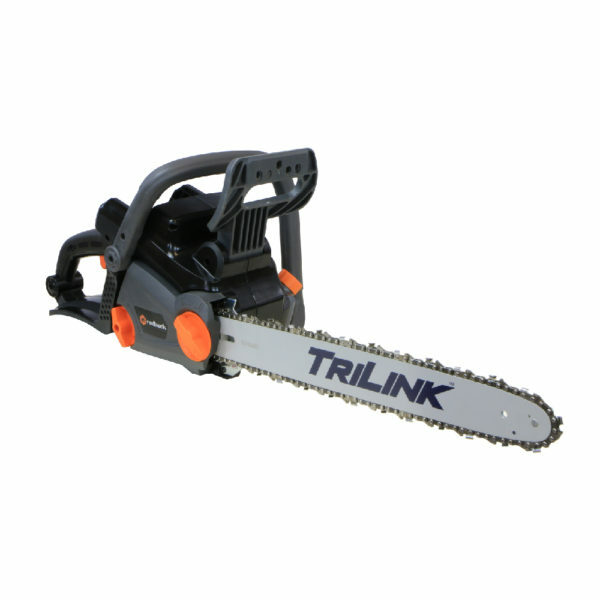 The Redback chainsaw is perfect for those smaller trees and branches. Additional Specs: Chain Pitch: 3/8″, Chain Speed (mps): 12, Drive Links: 62, Gauge: 0.05, Max Torque: 2.9 Nm. Estimated run times: 35 minutes/2.0Ah battery, 45 minutes/3.0Ah battery. All Redback products are backed by a 5-year warranty.